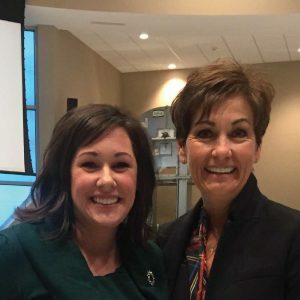 Last August, I was appointed to the Governor’s Empower Rural Iowa Initiative Connecting Rural Iowa Task Force (that’s a mouthful!). The purpose of the task for is simple; to ensure that ALL Iowans have access to fast, reliable internet. It’s no easy feat, especially since there currently isn’t a reliable data to pinpoint who is and isn’t connected. However, just because it isn’t easy, doesn’t mean it isn’t necessary. While I could drive home the importance of the internet, tell you why it’s important to have access to it (education, healthcare, business are just a few reasons), I think we all know that internet access is vital for a healthy, growing community. So instead of rehashing the same arguments over and over, I’d like to share a different perspective. My experience with this task force is so much more than a mere lesson on connectivity. Rather, it’s been a lesson on leadership. Working alongside some of Iowa’s most talented, has been a privilege AND a learning experience. Here are just a few of my observations. – You don’t know all the answers. It’s easy in leadership roles, whether at work, at home, in church or in our community, to think that we have all the answers or to be afraid to admit when we don’t. In a recent conversation with Governor Reynolds, she admitted that she didn’t know something about Facebook analytics. But, that struck me. The leader of the number one state in U.S. isn’t an expert in everything and doesn’t pretend to be. Perhaps that’s why we’re number one. -Take a risk. By far, every time I attend a meeting, I feel like I am dumbest person in the room. I’m not just saying that either. The room is filled with extremely intelligent go getters who are changing their communities for the better. But, last July, exhausted after a quick trip to Canada, I stayed late at work one night and filled out an application for this task force. I didn’t think I had a chance at being selected, but for some crazy reason, I was. I took a risk and put myself out there, which isn’t always an easy thing for us MidWesterners to do. But, sometimes, smart risks pay off. I’m guessing that at some point, each person in that room has had to risk hearing a no. Whether it was running for office, starting a company, applying for a job, at some point, each person there risked rejection. One of my observations about rural Iowa is that we spend way too much time worry about what others think. We work hard to stay out of the spotlight. Sometimes it’s because we are humble, but often it’s because we don’t want to become the center of gossip. Sadly, this leads to communities where people don’t stand up for it is right and don’t live up to their potential. I’ve learned that calculated risk is always worth it in the end. -Give someone else a hand up. At every task force meeting, there is usually some time to network. Looking around the room, hearing bits and pieces of conversations, the same thing occurs each and every time. Someone helping someone else. Whether it’s sharing their expertise in a certain area, or chatting about how to improve one’s rural town, someone is always extending a hand of help. Before our last meeting, I was lucky enough to have lunch with Danna Larson, CEO of Rural Revival. Her willingness to take the time to meet with me and to give me some free advice has helped launch my business to a new level. Although I’m still not where I want to be, it’s the Danna’s of the world that will help me get there. My job is to find another person, extend reach out and extend my hand of help. Which brings me to my next point. – Keep moving forward. It’s easy to stop because we’re number one or because you found the solution. But, as a group, we have collectivity decided that we cannot just concern ourselves with connecting rural Iowa today, we need to look at have upload and download speeds for tomorrow. Bare minimums aren’t good enough. What if this attitude permeated our communities? You can be proud of who you are and what you are doing, while still working to improve. The two aren’t mutually exclusive. Rural Iowa is a great place to live and work. But maybe, just maybe, we can become even better. There you have it! 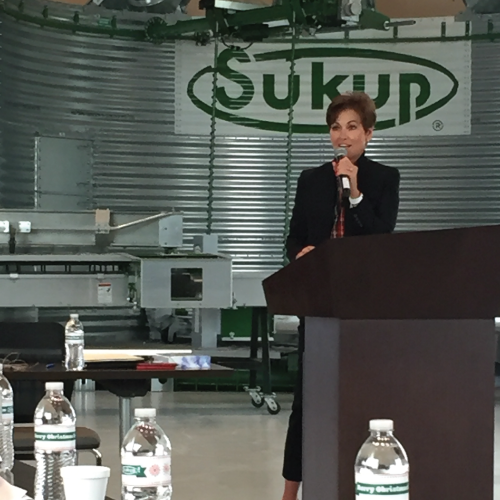 Just a few lessons learned from my experience serving on the Empower Rural Iowa Connecting Task Force. I am honored to be a part such a great initiative, and I am even more honored to call rural Iowa home.